GES Department Chair Maria Lane recently returned from Ecuador, where she spent two weeks advising four UNM graduate students who are conducting doctoral fieldwork in and around the capital city of Quito. 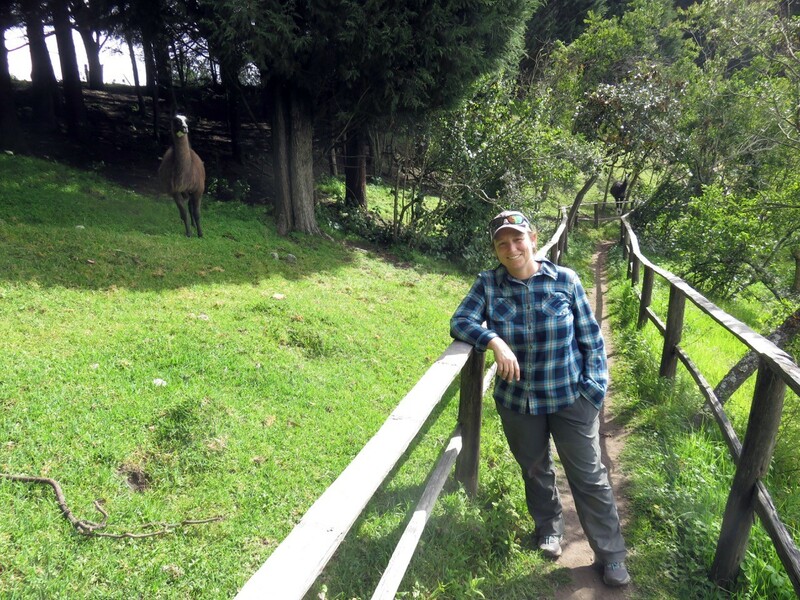 During her trip, Dr. Lane visited rural highland communities in the Andean provinces of Pichincha and Imbabura. She also met with administrators from the Universidad Central de Ecuador (UCE), hiked on Volcán Chimborazo (Ecuador’s highest mountain), and made a brief stop along the Napo River in the Ecuadorian Amazon. Due to the timing of her trip over spring break, Dr. Lane also got to experience a “day with no shadows,” as she was just a few kilometers south of the equator during the spring equinox. 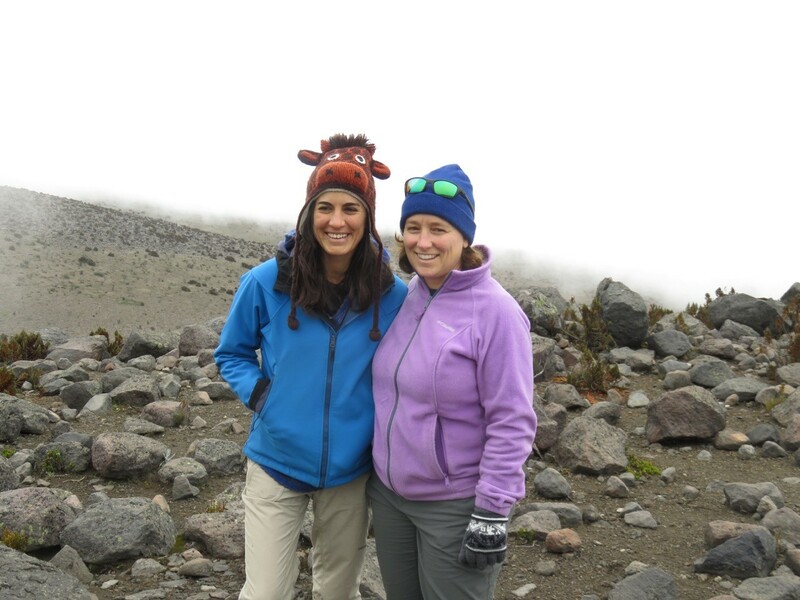 UNM student Ursula Freire (L) and Maria Lane (R) on the slopes of Volcán Chimborazo, Ecuador’s highest mountain. Dr. Lane said her favorite part of the trip was visiting field sites throughout the Andes highlands. She met with growers at farmer’s markets, stayed overnight at a small farm, toured co-op facilities managed by agricultural producers, and learned about how agro-ecological knowledge is shared in communities facing both environmental and economic change. 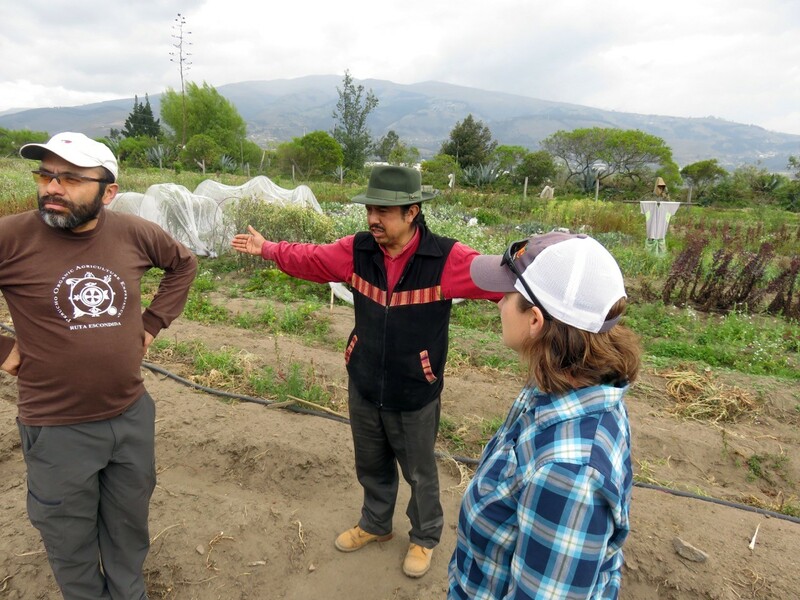 UNM student Michael Ayala (L) and Maria Lane (R) learn about cooperative knowledge-exchange efforts from Hilario Morocho (center) at the Centro Intercultural para la Capacitacion Agroecologica (CINCA) in Cubinche, Ecuador. The doctoral students Dr. Lane visited all are currently employed in Ecuador at UCE while conducting their dissertation field research in Geography & Environmental Studies at UNM. 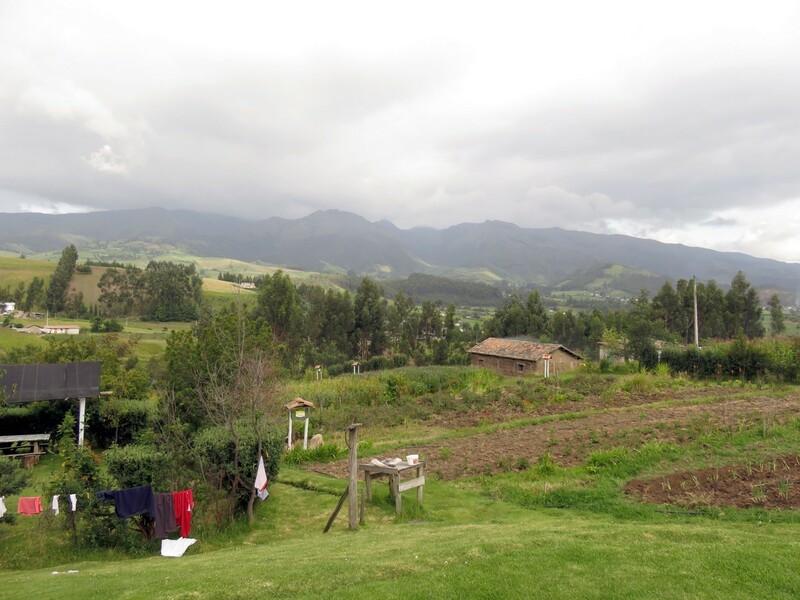 Natali Cáceres Arteaga is studying how climate change policies in Ecuador account for and affect gender dynamics and other social relations within agricultural communities in Pedro Moncayo Canton. Michael Ayala is working with a co-op network of agricultural producers to study the use and impact of “agro-ecology” techniques, which focus on the integrative well-being of farmers’ lands, communities, and finances. Ursula Freire Castro is analyzing the way early European mapping of Volcán Chimborazo helped develop climate models that persist in modern architectural approaches to designing with climate. Fausto Rodriguez is conducting a comparative analysis of transportation planning histories in North and South America, using six Ecuadorian provinces as his analytical focus. 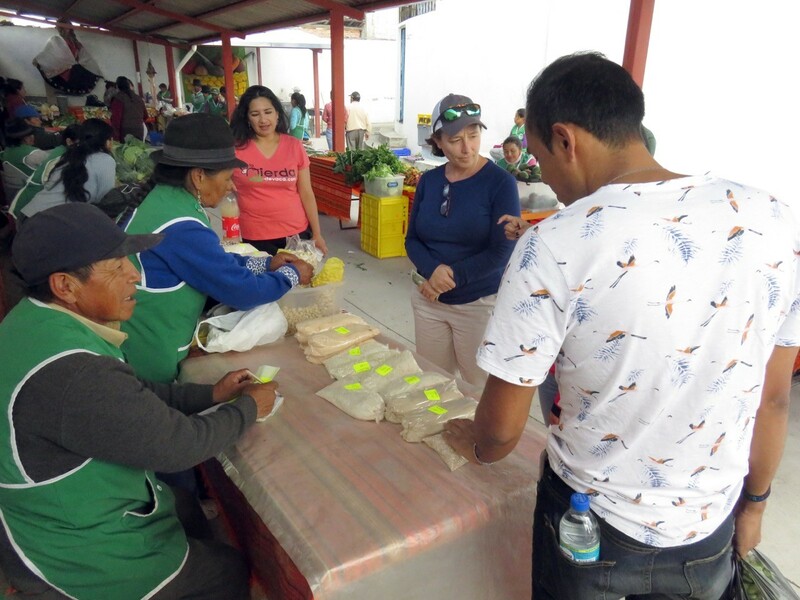 Dr. Lane (center) visits the weekly growers market in Tabacundo, Ecuador with UNM student Natali Cáceres (not visible in photo). Although GES is still in the process of establishing its own PhD program, the department provides an academic home to these doctoral students through UNM’s Latin American Studies (LAS) program. LAS is an interdisciplinary program in which graduate students choose two concentrations from participating departments across campus, including GES. The LAS program is directed by GES Associate Professor Ronda Brulotte. LAS has recruited an increasing number of students interested in Geography & Environmental Studies in the past few years. The “El Laurel” farm practices agro-ecological techniques in Santa Rosa de Ayora, Ecuador.